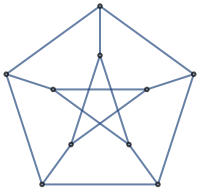 generates a plot of the graph g.
generates a plot of the graph with edges ei. uses rules vikvjk to specify the graph g.
uses the adjacency matrix m to specify the graph g.
GraphPlot attempts to place vertices to give a well laid-out version of the graph. 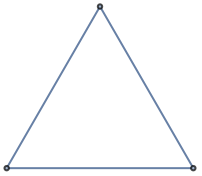 GraphPlot supports the same vertices and edges as Graph. With the setting VertexCoordinates->Automatic, the embedding of vertices and routing of edges is computed automatically, based on the setting for GraphLayout.